Adirondack girl-in-transition Jade Engel comes home to recharge after ending a career she never truly wanted, but soon realizes she’s in danger of also being swept off her feet by the boy-next-door, her former best friend, Ben Stephens. If only he’d stop kissing her every time she falls into his arms. Everything local celebrity Ben Stephens ever wanted is in Starling. Then Jade comes home after an eternity away and sends his simple world into a tailspin. He’s determined to pursue her—the one girl who got away. But when their friends-with-benefits arrangement blows up in their faces, will they have the courage to put their pasts to rest in order to forge a future together? 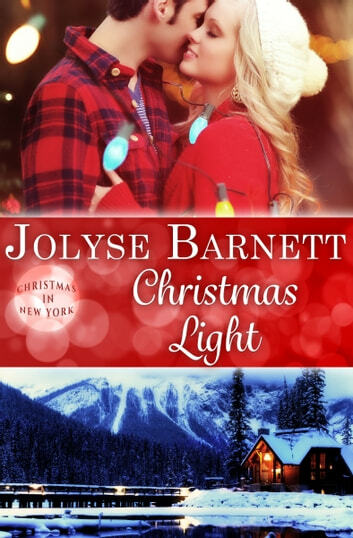 Christmas Light is a good read. Nicely paced and very good character development. A romance with some timely touches on today's concerns. It was great to not just have a "hearts and flowers" read. Excellent work, thanks and keep it up. Sweet, romantic, easy to read. This is a great book for a relaxing weekend. Enjoyable light Christmas holday reading. Girl has a wonderul best friend as a child, but he is a boy. To fit in with the "in~crowd" she savagely turns on him, humiliaring him in front of a crowd of horrible girls. Years later she feels the void. She resigns and while returning home, she immediately meets a very appealing handsome man. Yes. Its him. She behaves true to character, allowing her mother and friends to dictate what she shold do. Eventually she develops some strength of character and makes her mind up while he patiently waits, irresistably drawn to this woman, until she agrees to marry him. Amazing that he can find it worth it, but he does. It has it all for a good Christmas read. Family love and hot steamy romance packed into a short novel. This book brought back many Christmastime memories for me. Cross-country skiing, snowmobiling, decorating the house inside and outside. 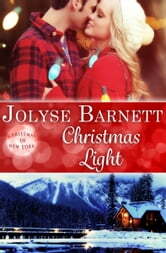 Jade returns home to spend Christmas with her family and runs into Ben, her former best friend. With unresolved issues from a long time ago, will they be able to handle them together or apart? I received a free copy in exchange for an honest review.